When AT-95 owner Dennis e-mailed me about the new website, I curled my toes in anticipation. I love their stools and machine leg tables. 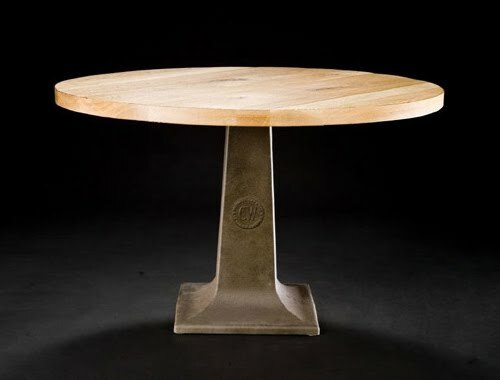 But my absolute favourite piece is the Industrial Table. I adore the sheer heft of its base. 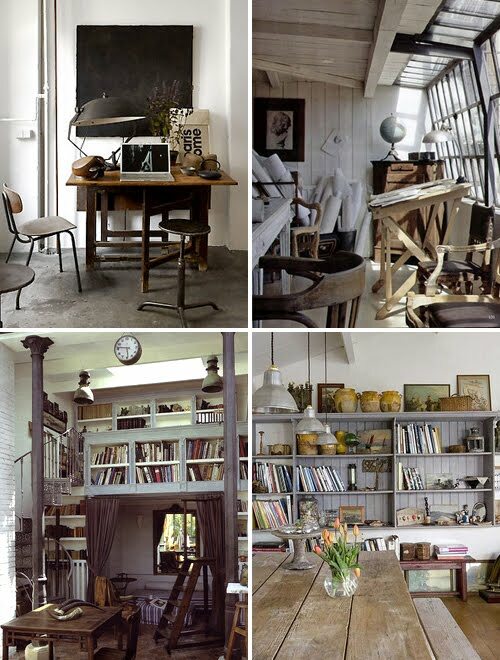 You know I love me some industrial style, especially mixed in with more rustic country charm. These images from my Tumblr capture the kind of setting I imagine this table resting happily in. All images from my Tumblr, originally sourced on the following blogs: Mustard & Sage / Head Over Heels / Gypsea Tree / Desire to Inspire. Please click through to source blog for full image credit.